There are seemingly countless products to choose from when it comes to capsules and closures. Here’s an overview of what’s new in the major categories, sustainability efforts, and how to make the right choice for your product. Natural cork has seen its ups and downs when it comes to popularity. 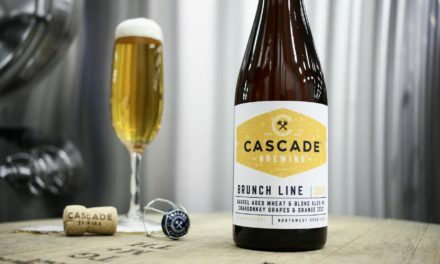 But since 2008 (when use was at its lowest due to TCA concerns and a shift toward alternative options), demand has increased more than 30 percent. 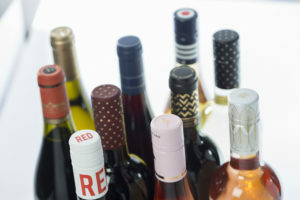 The increase is largely due to the research and development of technology that eliminates TCA contamination, something all suppliers in this category are striving toward (Amorim recently announced it’s working on a system that will eradicate TCA for all its natural cork stoppers by 2020). Another factor is that more consumers, especially millennials, are concerned with sustainability—and cork is arguably one of the most sustainable products in the world. It’s also the top choice (pun intended) for premier wines, especially those intended to be aged in-bottle. 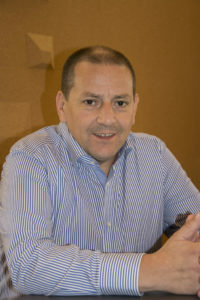 “We believe natural cork is the preferred closure worldwide,” says José Remoaldo, chief sales officer at M.A. Silva, which produced more than 600 million corks in 2017 and has a presence in 40 countries worldwide. “We have zero waste from production, and protecting the cork forests’ biodiversity is a major concern,” he adds. The company began research into technologies to eliminate TCA in 2000 and fully employs them today. It has systems in place to boil cork planks at high pressure, maximizing TCA removal, and to wash finished corks to further reduce organic impurities and compounds that can cause off-aromas. In 2016, it released a program called Onebyone, which tests finished corks individually. “It’s an expensive process—cutting edge—and ensures individual cork testing for TCA,” says Remoaldo. Cork Supply has also conducted extensive research and has developed technologies regarding best practices for farming cork wood and services, like DS100, that help protect customers from tainted bottles. “We individually screen each cork for all wine and spirits closures. It’s an additional service and something we’re proud of,” says Hladun. Micro-agglomerate is cork particles fused together using a binder. 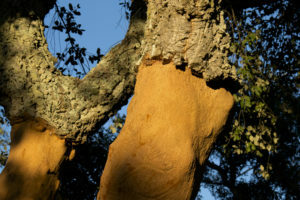 Once natural corks are cut from the tree bark, the byproduct is ground up into particulates and adhered back together, most often with food-grade glue. It’s a popular choice for those who desire natural cork but at less cost overall, and is a top choice for spirits producers for shanks and bar tops, where oxygen is less of a factor. 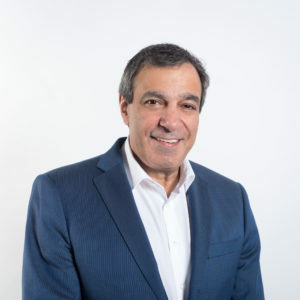 “Micro-agglomerate continues to grow as a market segment and is a big opportunity for us,” says Hladun. 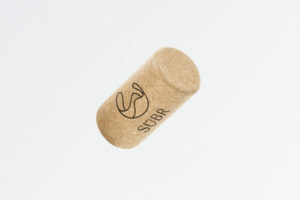 “We used to sell the natural cork byproduct to other manufacturers, but have invested in a facility in Portugal where we can produce them ourselves. “Small and mid-size spirits producers use this in conjunction with metals, woods, and plastics for their bar tops; they’re really the ones who are going for custom looks,” he adds. Vinventions has taken the idea to the next level, with a new, glue-free micro-agglomerated cork that’s just now hitting the market. “Wine corks are the only product that use glue in direct contact with food,” says Malcolm Thompson, chief innovation officer and president of the Americas at Vinventions. “As a company, we wanted to move away from glue. Instead, our SÜBR closure uses a plant-based binder and is fully biodegradable. It can be reused and recycled—unlike the ones with glue—and there are no health concerns. We also want to ensure the health of our workers and were concerned about the handling of glue over the long-term,” he says. 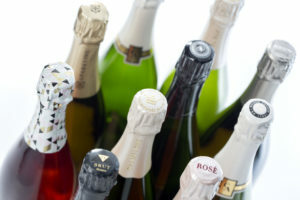 There are synthetic cork styles to fit any need within the alcohol industry, including beer, wine, sparkling wine, spirits, cider, and beyond. The idea gained popularity when it emerged on the market as an alternative to natural cork that promised better TCA control. And similar to natural cork, it comes in various grades and styles. At Vinventions, there are PlantCorcs to fit any winemaking style, offering predictable and consistent oxygen ingress levels. 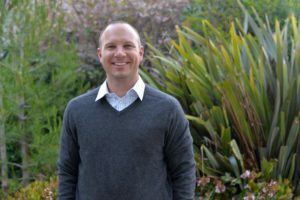 Its Nomacorc gained popularity when it emerged on the market as an alternative to natural cork that promised better TCA control, and its PlantCorcs come in various grades and styles. 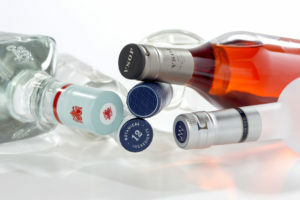 “Producers of premium wines and spirits want closures that have a natural appearance,” says Thompson. “Our plant-based Nomacorc Green line has replaced fossil fuel-based products, and we’ve significantly improved the look of these closures with a new printing technology that’s applied to the end and sides of the closure to make it virtually indistinguishable from top-quality natural cork.” Based on renewable, plant-based polymers derived from sugarcane, the products are fully recyclable and have low- to zero-carbon footprints. 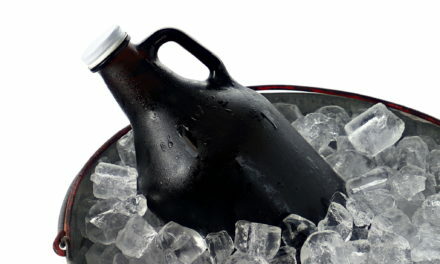 Most items in this category are some form of metal, polyethylene, PVOC, or a combination thereof. 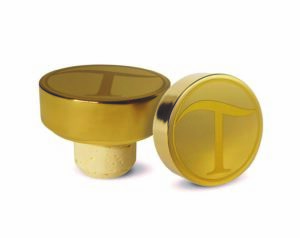 Screw caps combine both ease of use and protection from oxygen, while capsules provide an added layer over extractable closures (this includes foils and wire hoods for sparkling wines). Screw caps were originally developed by Stevlin in France about 50 years ago and are traditionally made of tin, which is sturdy and recyclable. In more recent years, the cost of tin has increased significantly, limiting its use to premium brands. Polyethylene capsules have three layers, with aluminum on the outsides and polyethylene in the middle. Alternative capsule materials are always being developed. Amcor’s Stelvin line offers aluminum screw cap closures with PVDC-free liners, and customers can choose the grade of oxygen permeability. Its Stelvin Lux line has a premium appearance including a smooth finish, and its soft-touch technology, which adds a velvety feel to the capsule, is good for premiumization. And its Supaluxe is an aluminum closure ideal for high-sugar content liqueurs; it ensures smooth opening and no sugar residue, which can make opening difficult. “We’re also looking at creating different shapes for capsules,” says Martin. Amcor is the first global packaging company pledging that all its packaging will be recyclable and/or reusable by 2025. 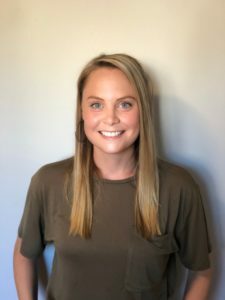 Its efforts are addressing the problem of plastic waste head-on, working with multiple organizations to keep plastics out of oceans and to improve and increase the recycling infrastructures worldwide. Texturing is also a newly popular choice. “Before sandwiching the polyethylene capsules, we emboss one sheet of aluminum, so the texture shows up on the outside. It can feel like linen, among other things. For sparkling foils, there’s a soft touch option for a velvety feel,” he adds. Other options include hot stamping (eye-catching metallic foils), tactile inks that have a special varnish, laser engraving, thermochromic inks that change to a specific color or reveal a hidden design when the closure reaches a specific temperature, glow-in-the-dark inks, four-color printing and beyond. “Laser engraving on screw caps is good for smaller producers, because it can be done in small quantities and can be used for custom caps,” says Martin. “Hot stamping on foil can be done in small amounts as well. 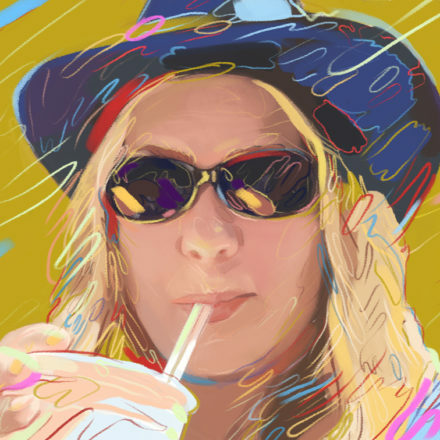 Color-changing closures are good for when a winemaker thinks the wine should be a certain temperature, because the ink will adjust accordingly,” she adds. As security is a top concern for premium offerings, especially in Europe and China, there are various methods you can choose. 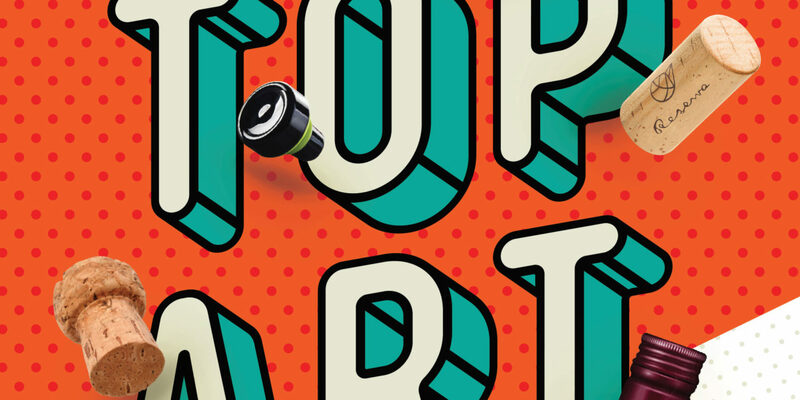 “We’re dabbling with inks so you can trace whether the cap is original,” says Bell. With so many options and materials to consider, your choices come down to what best matches your product’s cost, style, and sustainability concerns. “Aging is an issue,” explains Hladun. “How are you designing the product? Is it a quick turnaround rosé? A cult cabernet meant to be aged for decades? Or something fun and funky?” he adds. “Spirits are a bit different, since they aren’t aged in the bottle and oxygen is less of a factor, but you also want to ensure your choices don’t have aromas that will interfere with what’s inside. Consider your audience. What are they seeking? Is it style, luxury, sustainability, or affordability? What’s most important to you as a brand? Match your product in style and personality so there are no surprises once that top comes off. 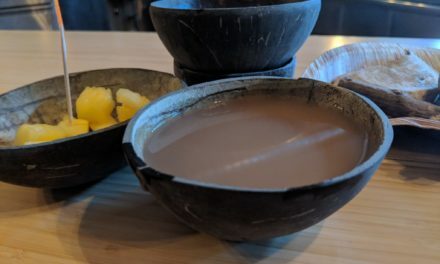 Kava 101: What is this tropical intoxicant—and is it safe?